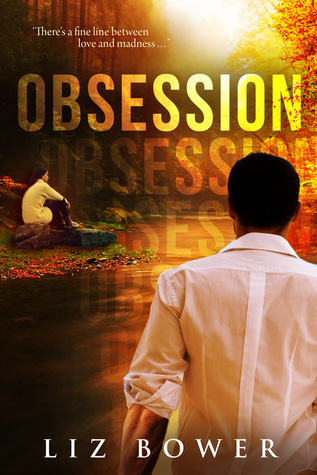 Review – Obsession by Liz Bower – 5 Stars!!! Jo Waters infatuation for her new male colleague proves to land her in a heap of trouble, she wasn’t expecting. Finding help from Marco her best friends brother proves to open opportunities Jo least expected. Little did she know her actions would lead to an obsession getting out of hand. With threats looming, can Jo save the people she loves? I bought this book on impulse, and I don’t regret it! Liz Bower has written a book that had me hooked and engrossed from the first chapter; I was so self-absorbed in the story that I read this book in one sitting. Liz has a way of pulling the reader in with fascinating characters and a captivating storyline. At first I thought this book was taking a rom-com kind of route, when suddenly Liz threw a spanner in the works that had me sat on the edge of my seat in shock and anticipation for what was to come. This story keeps you on your toes guessing and although I felt I had worked out the intentions of one character I could never fully commit myself to their true intentions because Liz Bower had a way of throwing in a few curve balls that had you second guessing yourself. Jo Waters, is funny, speaks her mind, isn’t ashamed to be herself and is great at her job. I loved that at times she acted on impulse and even with regrets she didn’t dwell on it too much. Marco is irresistible without any doubt. He comes across cocky and self-assured, however a lot of it is an act and he is in fact a loving, caring man who is loyal to his friends and family. If you love romantic suspense with humour and mystery you will love Obsession by Liz Bower.